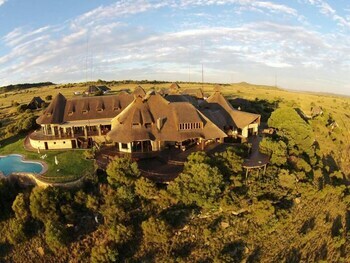 When you stay at Letsatsi Game Lodge in Smithfield, you'll be 17.1 mi (27.5 km) from Smithfield Park. Featured amenities include a 24-hour front desk, laundry facilities, and coffee/tea in a common area. Free self parking is available onsite. Located in Kleinbaai, White Shark Backpackers is within a 15-minute drive of Kleinbaai Harbour and Gansbaai Harbor. When you stay at Maputaland Guest House in St. Lucia, you'll be within a 10-minute drive of St Lucia Crocodile Centre and St. Lucia Estuary Beach. Free self parking is available onsite. Located in Kingsburgh, Birdcage B and B is within a 15-minute drive of Aliwal Shoal Beach and Splash Water World. Free self parking is available onsite. With a stay at this apartment in Bakoven (Camps Bay), you'll be within a 15-minute drive of Table Mountain and South African National Gallery. With a stay at 8 La Croix in Cape Town (Bantry Bay), you'll be within a 15-minute drive of Table Mountain and Cape Town Stadium. Free self parking is available onsite. Located in Langebaan, 8 Santorini Self catering is a 1-minute drive from Calypso Beach and 7 minutes from Langebaan Beach. Free self parking is available onsite.